FreeImagesLive allows photographers and illustrators to easily share, showcase and promote their photography and artworks. Our platform features tools that allow photographers and designers to get the most from Creative Commons stock images. So what is different about freeimages? We started freeimageslive specifically as a platform to promote our own website and photography work by leveraging creative commons licenses, blogging and social media. 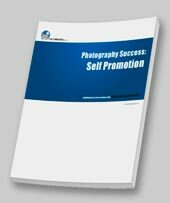 Having proven success ourselves we realised we had created a promotion tool we could easily share with other photographers. Working together we provide a better service to image users and develop new ideas as well as promoting each others work. See some more images already uploaded by our members. It's your work, You're in control, modify or remove images as you need. Everything we do is designed to make your Images more visible. Images with embedded metadata (IPTC) are automatically described and tagged. Syndicate preview versions of images direct to users, other websites or services. We regularly highlight our favorite photos on twitter, facebook and our mailing list. If we like it we post it, get posted! find us on facebook. Images are licensed for use around an industry standard, simple to understand system. Constructive feedback in our image approval process, + community lead support. We review everything before it goes live - you're in good company.